IT IS MAY DAY. The gore I have produced is there for all to see. I wade through the yard. I climb the fence. Emil, if that is his given name, is here by the last truck, exposing film the StB officer took through the night: It will be as if this never happened. The above passage is lifted from J.M. Ledgard's Giraffe, a novel based on a true story about secret police that slaughtered a captive herd of 49 giraffes on May Day 1975 in a small town in Czechoslovakia. In reality, today is May Day 2009. In the news, mass hysteria over the so-called "Mexican swine flu" & the potential that it carries (a similar strain of this flu led to these Czechoslovakian giraffes downfall). We woke up in "the servants quarters" of the Gheralta (the regular rooms were all booked) from birds pecking at our door. 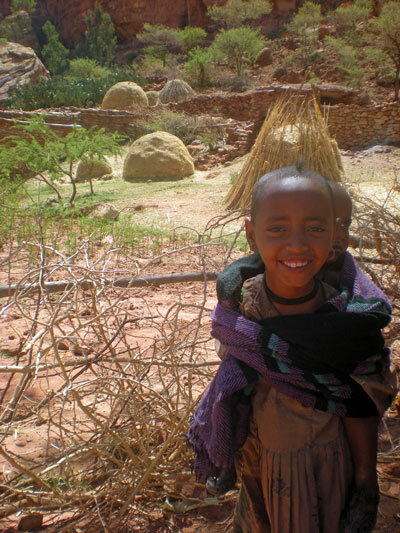 Jess & I went to take an early morning walk on our last day in the Tigray region of Ethiopia. We saw an ox being slaughtered. I've seen animals slaughtered before, but something about this was very visceral & left an impression I can't shake. We were strolling out on a rocky bluff near the lodge when we saw these four guys fumbling to get a rope around this ox's feet & maneuver it to the ground. It didn't seem like they did this sort of thing often, they struggled a bit & seemed to be making it up as they went along. Hackers. As I was telling Jess, any Mexican would have this bull roped & to the ground within seconds. At first we figured they were giving the bull medicine or something. But they got a kitchen knife out & started peeling back the skin on it's neck, like they were skinning it alive. Horrifying as it was, we couldn't stop watching. One guy started hacking at the exposed area with the knife, cutting deep into the neck with some elbow grease. 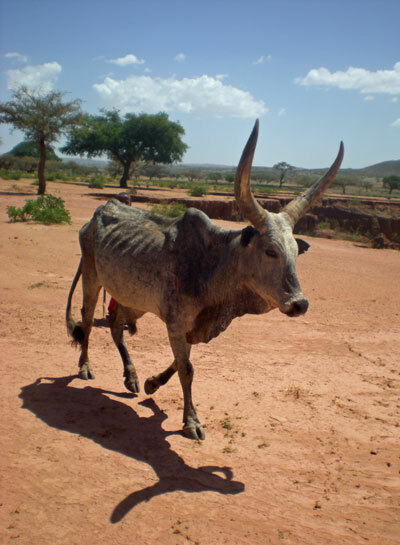 The ox kept struggling even when it was half-way decapitated. The other three held it down. Another guy jabbed a knife into the gaping laceration, presumably trying to sever some arteries. I walked up close & there was thick bright blood gushing out onto the dry dirt & grass. One little artery was squirting a fountain of blood just like the old Samurai movies. They even made incisions behind the hooves, presumably to bleed it quicker. It all happened pretty fast, within the span of a minute or two. I didn't think to take any pictures, which is probably for the better. There was a small black milking cow (a dexter perhaps) nearby that the slaughterers kept shoeing away from the scene. But like us, she kept returning, clearly agitated & conscious of what was going on. We tried to shield her from the horror, but she would scurry around us to witness the slaughter. Anyhow, sorry if such things bother you, but that was how the day started for us, like jumping straight into the finale of Apocalypse Now! before we'd even had our morning coffee. 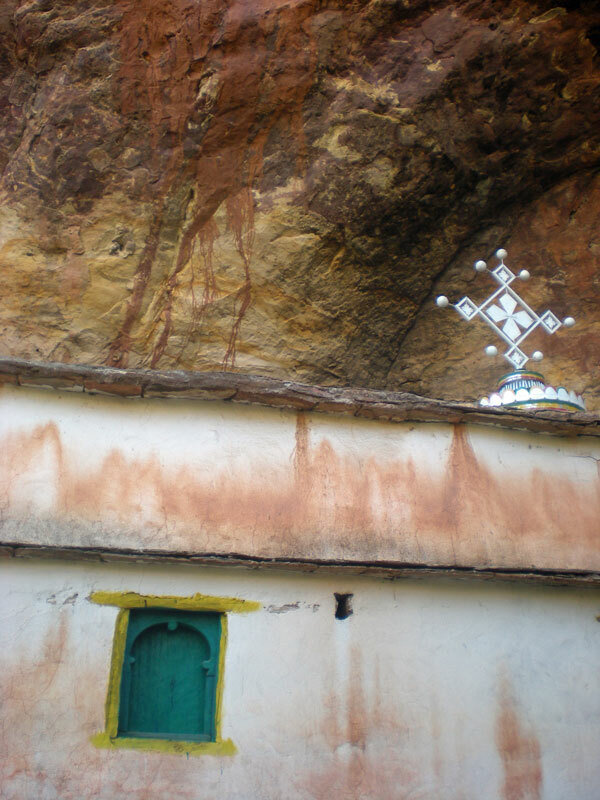 Yesterday we visited some rock-hewn churches in the Tigray area. 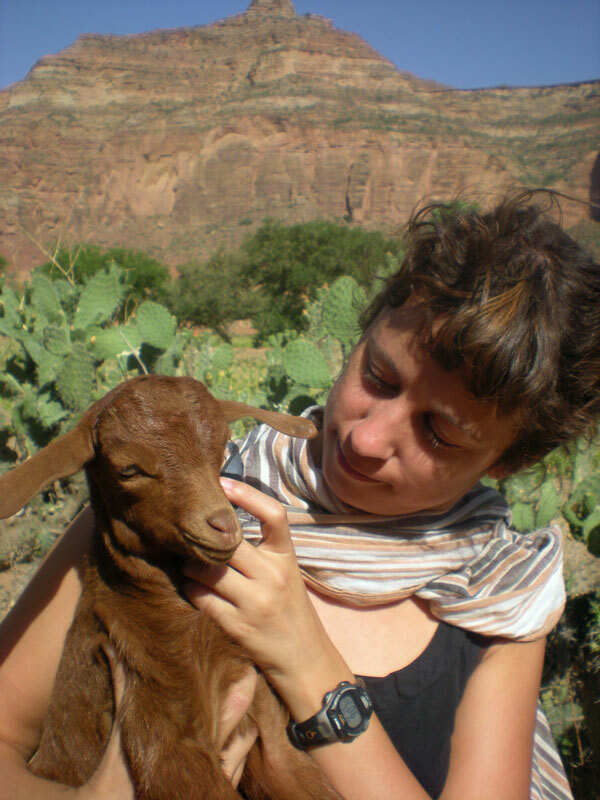 Last year I went on an impromptu & solo excursion to nearby Mariam Korkor, Daniel Korkor & Abuna Yemata Guh. These churches involved some strenuous & exposed hiking, & at times (for Yemata Guh) unroped rock climbing, & since I had already seen these three, we (Leadbelly, Jess & I) opted for three different ones. 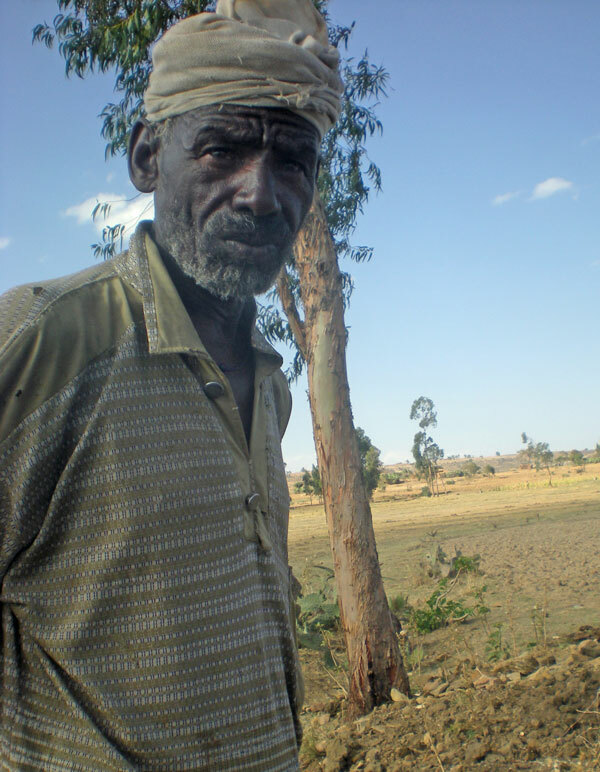 We arranged for a car & the same guide I had last year, Tewolde. 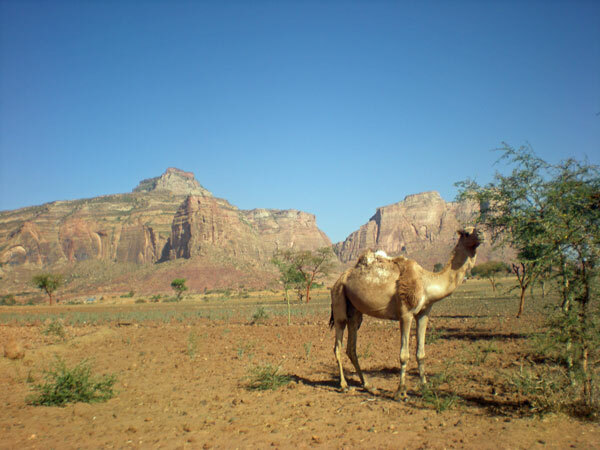 Sometimes we'd see caravans of camels trudging along the road, headed for the distant Denakil depression to fetch slabs of salt (that we saw in the market a few days earlier)—a twelve day journey. We rode in our beat-up mini-van until we could drive no more, then set off on foot. 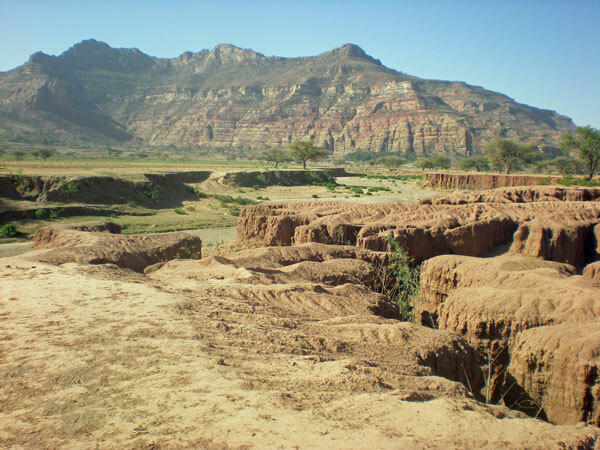 The approach to Debre Tsion was across a flat & comparatively lush valley with gargantuan sycamore figs & a wash/river running through it. We passed through farms & settlements, meeting all sorts of people along the way. This is what it's about after all, isn't it? 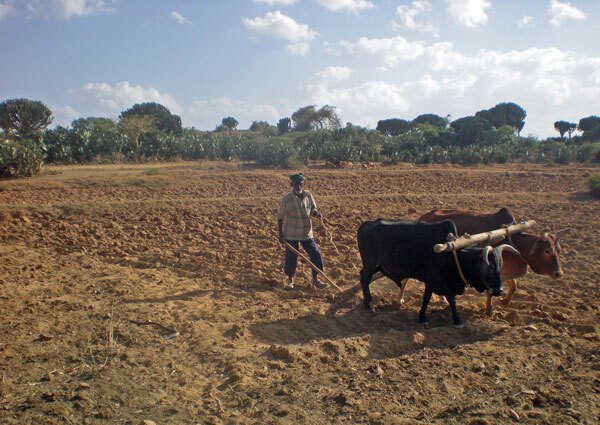 Rainy season was a few weeks away so most everyone was plowing their fields, hoping for better rain than last year. 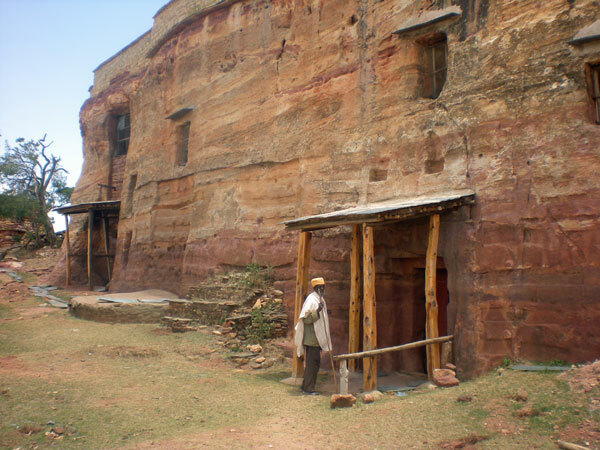 The church of Debre Tsion was nestled in a crook at the base of an arching cliff, reminiscent of Moab, Utah. We met up with the monk (shown at the end of the video above), who took us into this lush compound with palm trees. 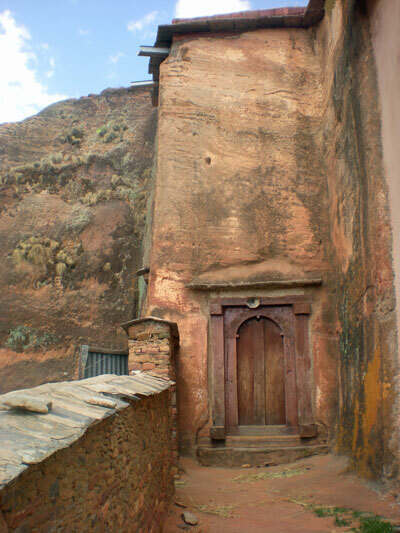 The monk rang the rock & artillery "bells" that Tewolde is standing in front of above, then we came to Debre Tsion. 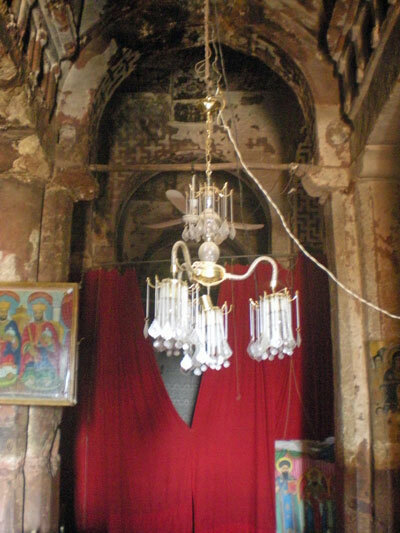 We weren't allowed to use flash inside the churches, hence the fuzzy candlelit images (though last year I was encouraged to use flash, so the photos are better). 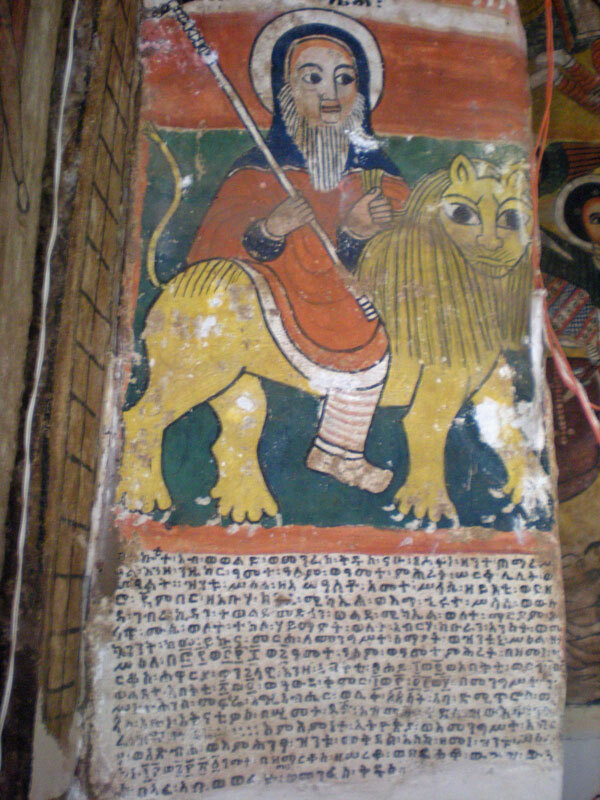 The initial image of this post, of St. George, was also from Debre Tsion. 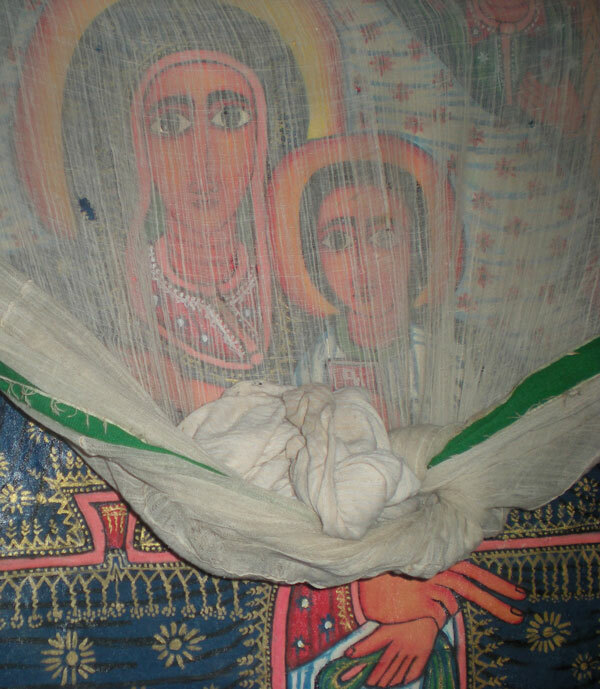 We'd soon discover that St. George the dragon slayer was a recurring motif & somewhat of an Ethiopian obsession. 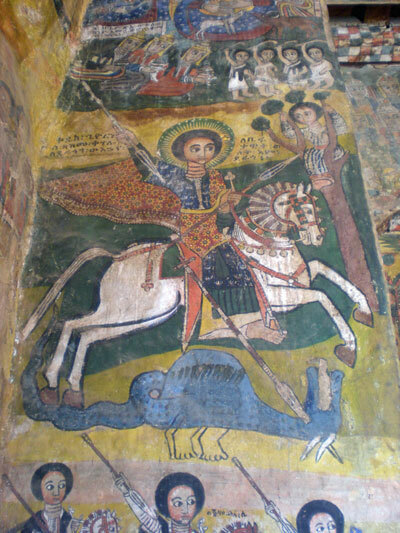 St. George was the patron saint of Ethiopia & also the name of their most common beer. 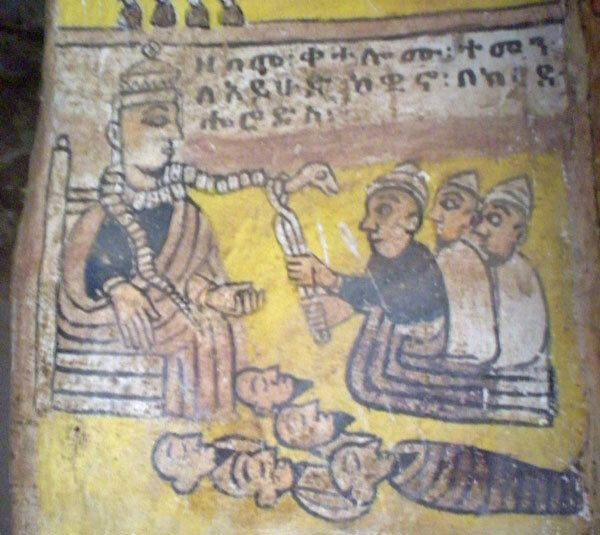 Tewolde told us the story in gory detail, emphasizing how the blood came out of the dragon's neck & nostrils. Besides the attention to detail of the slaying, Tewolde's version of the story was pretty barebones, at least from what I could understand of his broken, but animated English—St. George came along & saved the princess from the dragon & they lived happily ever after. 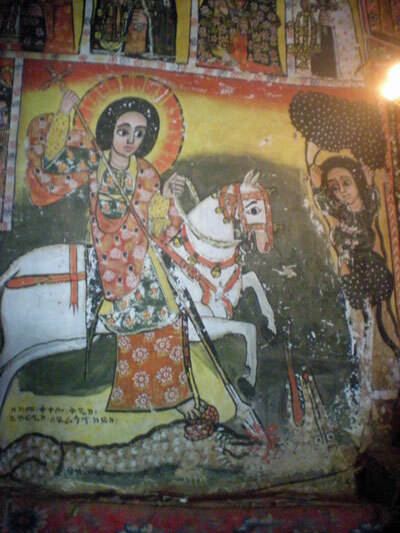 Although he looks Ethiopian in the mural, St. George was in fact from Nicomedia, Greece or Turkey (circa 275-285 A.D.) & joined the Roman army & was ultimately executed for not renouncing Christianity. As for the dragon, story goes that he made a nest by a spring & all the nearby pagan villagers needed to get past the dragon to fetch water. In order to get by the dragon they needed to offer him a sheep, or if a sheep wasn't available, then a human sacrifice would have to do. They drew lots to find out who this unlucky soul would be & on one occasion the princess was chosen. Then St. George came along & after signing the cross, slayed the dragon, not only saving the princess, but also converting all the pagans to Christianity based on St. George's heroic deed. The approach to Mariam Papasette (not entirely sure that's how it's spelled, but that's how it sounds) was a bit harder & the sun had risen some so it was hotter. When we got to the nearby village, most everyone including the monk were apparently attending a funeral. White-robed men with canes yoked over their shoulders, making them all look like Jesus on the cross, were streaming from the gathering in hordes, with the woman on a separate trail. 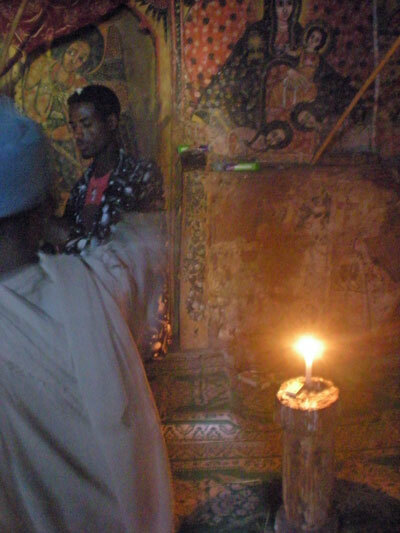 Tewolde sent a boy to fetch the monk. It was also this boy's job to fend off the entourage of other kids that would inevitably follow us everywhere we went. 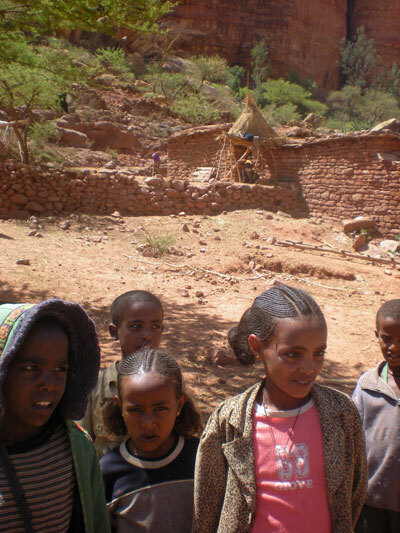 Tewolde & the boy would beat these kids with sticks & threw rocks at them, yet they still wanted to follow us up the mountain. We wound up the backside of this mountain, up some steep & cliffy train. When we got to the church, there were all sorts of men gathered, more to do with the funeral. The body of the woman that died had been brought up. The men were washing & drinking from a stagnant spring & saying prayers, & then disbanded leaving us alone to the church. 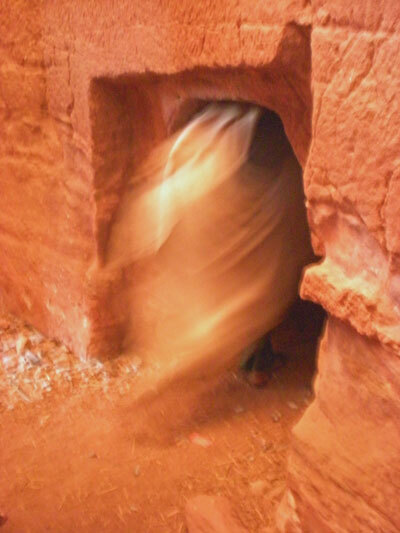 The paintings weren't as nice in this church, but there were all sorts of inner passages & cubby-holes to explore. 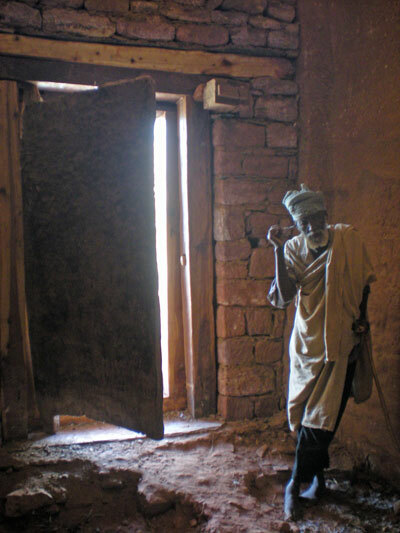 The most approachable church was Abreha We Atsbeha, which is right off the road in a village between Dugem & Wukro. & the paintings in this one were the best from the three we saw on this trip (though in my mind, Yemata Guh takes the cake). After the ox slaying & a cup of coffee, we drove the back way to Mekelle, trough Megab & Dugem (both Millennium Villages) meeting back with the main road at Wukro. On the way we passed more camel trains & went through a hilly area whose vegetation seemed native & untouched & housed a few monkeys even. We passed through another village with grieving & wailing mourners gathered around the body of yet another woman that died. Mekelle is an interesting little city, with cobblestoned side streets & lots of funky bars & shops. We stopped in one dark & frankincense-filled bar to get some St. George's to bring to Dr. X's house (Jess's colleague shown at the end of the last post sporting the Malcolm X glasses). His wife made us an amazing traditional Ethiopian meal, injera, a few different wats of meat, chilies, whole eggs, chicken, etc. It was amazingly delicious. As is the custom, we gathered around a large communal tray (by candlelight since the power was out) & ripped pieces of the underlying injera with one hand & mopped up the juices. Delicious. The next morning we went to the airport early & flew back to Addis. Mostly we drank G&Ts, did some shopping & took advantage of the internet access which we hadn't had for almost a week. Now I'm on the plane to Bamako, Mali. I am by myself now, next to a gargantuan amazon woman that is overflowing her seat. She is so large she could barely get her seatbelt on, only with the help of the flight attendant & nearby passengers shoving her folds of fat together. When the food came, she couldn't even put down her tray table down. I guess this is a precursor of what to expect in West Africa. Jess & Leadbelly are on another flight, Nairobi bound. We went to the airport together & even had neighboring gates. We said our goodbyes & got in different security lines. When I got through mine, i walked over to the glass wall & watched Jess get frisked & wanded. She didn't know I was watching. But here's the image I'll keep of Jess for the next four or five days until we meet up again in Bamako. I was mesmerized watching Jess & Leadbelly go through security then cue up for passport control, hoping to get their attention, but suddenly there was a mad stampede on my side to get on the plane. Absolutely no order to the boarding process, people shoving & trying to physically push you out of the way to get in front of you. It's really quite a phenomena & I was trying to understand it. & understand the mindset of people who are constantly in that frame of mind that they need to push & shove & be rude to get anywhere or get anything done. It's bad in East Africa, but based on this experience & from what Jess tells me, it will only get worse in West Africa. Now we are above the clouds somewhere over Nigeria, after passing over Chad & Sudan. Obviously not a trip you'd want to take by land. Occasionally I can see parched land through the haze. I started reading J.M. Ledgard's Giraffe in Ethiopia. Not that there are a lot of giraffes there, at least in the northern region. Giraffe's genus name is camelopardalis because the Romans thought they were some sort of fucked-up offshoot of camels & leopards, though I'm not sure where they would've gotten there long necks from if that was the case. As I mentioned at the start of this dispatch, the book is based on a true story about some captive giraffes that were victims of a mass execution in Czechoslovakia. I'm not sure where I heard about the book, I think someone told Jess, saying they thought I would like it, so Jess got it for me. So thanks whoever that was, I did like it, quite a bit. Especially in light of the Natural Histories I myself am working on, of which I'm sure will include a giraffe story now. I was awake to the gazelles, as I am awake to the giraffes. I am wakeful when I walk the slopes below the forest that encloses the Svet, and harvest mice scatter before me down smooth ovular holes and make for the balks in the field where the yellowhammers and quail are nested... I take an empty bottle from my bag. I fill it from a spring that rises here, percolating up from deep in the rock. I sit beside the shrine over the spring, dedicated to Mary... The Communist movement cannot dull such a place. Even if it cemented it over and punished all those who have laid flowers there, so that the act of worshipping was forgotten, the waters would only well up somewhere else. The officials show no interest in the bend on the gravel road where my parents were hit by a truck. Their interest is in the secret military base in the forest, in the electrification of its perimeter, so the animals will bounce off it, and in meaningful camouflage, so I will no longer see the tips of the missiles dug in there, glinting between the trees. The same officials paste political flyers onto the plague column, masking the pox-ridden faces spiraling up the column and the seraphim with wings as tiny as a sparrow's supporting those with their heads rolled back. When I am awake and walking by the plague column and see the slogans over those mournful sculpted panels, I understand the Communist movement cannot endure; it does not have the imagination. I know Czechoslovakia will awaken in the far future, agitated and bruised, under a spreading linden tree, to a religious revival, or even to a moment without lines in which the customer is always right. Sorry, I got carried away there & couldn't stop quoting. That's how good it is. This passage pretty much sums up the book. It's more about the fall of communism than it is about giraffes. It's about what the giraffes represent in ourselves, what captivates us to capture them & keep them in zoos, it's about herd mentality & our paranoia of plagues & ultimately about our fears & inability to ward off & purge foreign invaders & saboteurs & mortality in ourselves so we take it out on other species—the primal motivation behind the sacrificial lamb. I imagine death to come on us, on deer also, like the hand of an anesthesiologist, pulling limbs into cruciform, pushing a needle into a vein. There is a chemical closing over, a kind of drowning. The lungs fill with fluid, as in the womb. The eyes close, or glaze over. I run up to the deer. I drag the hounds off it. I regard it. My first thought is of the space between life and death, the fragment when you are neither living nor dead, which in a deer might be flickering of a divine stag and in a man the longest purgatory. The rendering plant is a whaling station of my imagination, a pier smeared crimson with fat jutting into cobalt Antarctic waters in which elephantine mermaids feed on krill and penguins, but beached somehow upon landlocked Czechoslovakia. The smell is of giraffes being rendered and of rancid chicken feathers filling a warehouse to the ceiling waiting to be melted into a putty and fed to other chickens, just as the giraffes will be ground into dry meal and fed to cattle in the neighboring collective farms. I was reading in the news today about China's quarantine of Mexicans over the paranoia of this dreaded swine flu, treating them like foreign invaders, like the giraffes in Giraffe. On a practical level you can justify it maybe, & say it's for the better good of humanity to take such precautionary measures. But when you look at the pictures of Chinese bellboys with masks delivering food to the Mexicans essentially arrested in their hotels, something is just morally wrong about it, a reek that I can't quite sniff out, but I'm sure others smell. It's one thing for individuals to be paranoid in their guarding against foreign invaders, that's your prerogative, but as a collective whole, one race against the other, on a policy level... We should all be in this together, otherwise it's cannibalism. This is perhaps only a precursor of what's to come, where the boundaries of our nations are really tested, & also the boundaries between science & superstition. Scary stuff, especially for something you can't even see coming. Will we regress to our pagan ways in light of such threats? In another sense, Giraffe is just a retelling of St. George the Dragon Slayer where St. George is communist Czechoslovakia, the herd of giraffes are the dragon & the princess represents the collective Czech people. The slaying of the giraffes represents the slaying of Czechoslovakia's spirituality, be it Christianity or our inherent animist/mal beliefs. It's a bloody book, but necessarily so. It's the first book in a long while that has almost brought me to tears, not from it's horrific brutality, but from the improbable beauty Ledgard manages to distill from it. Or maybe my inability to shake the fresh image of witnessing the ox being slaughtered from my head made me vulnerable. Ledgard manages to show & instill compassion without telling you in a forcibly sentimental way. There is so much blood. I fire a bullet in the air and cause a fountain. It is not a flow of blood from a deer into the forest floor. It sprays up to the chest. Whenever all the giraffes are down, Emil leaps down with glass jars. He squats over the bullet holes. He puts a jar to the fountain and fills it. It takes only a second. There is something of my childhood about it. 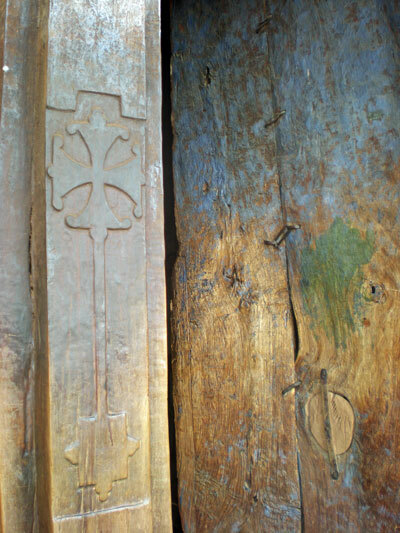 The blood springs from the giraffes like the pierced side of Christ on the cross in a religious picture, filling grails. It's almost like he builds it all up, the events leading up to it, recounting the history, the meaning of, "giraffe! ", so you can revel purely in the words, which even when taken in isolation from the story are poetry. The keeper slips away. I am without a witness. The girl is not here. Emil is not here. The StB officer is not aiming his telephoto lens and photographing me. I am alone in the barn, which is thick with contagion. I lie down on my belly in the loft, on hay and branches stripped clean by giraffes. I am tired. I swig the last of the rum. The stench of the yard is in here. May Day light slants in through the high windows. I have to ask a butcher to cut out a tongue. 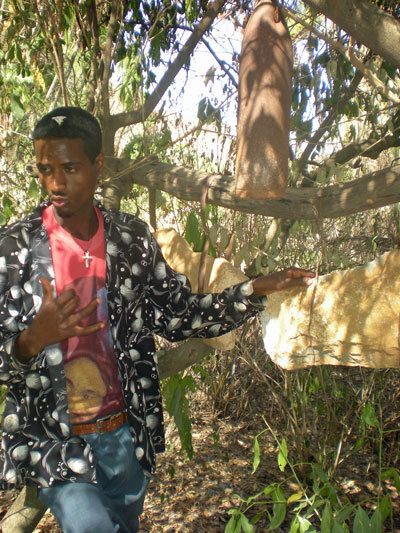 I order the burning of the giraffe keeper's papers along with the clothes and I personally expose the rolls of film the StB officer shot with this PhotoSniper. I keep the jars of blood for myself and the tongue also. Or listen to Björk's Pagan Poetry. Normally I'm not keen on her lyrics, but these are spot on, swirling black lilies totally ripe. Another theme of Giraffe is the unreliability of documentation & evidence. In communist Czechoslovakia, everything leaves a paper trail except for this, though a StB officer is hired to document the execution with a "PhotoSniper" & jars of blood are taken, etc. But still, we don't know the truth of what really happened, save for what Ledgard has artfully stuck his neck out to capture in Giraffe. I HAVE SEEN VISITORS who do not look at the creatures in the zoo except through the lens of their camera and curse when they run out of film, as though they have been made blind. Even so, I have often been startled at the way other visitors seem to wake up when they step from under the sycamore tree and exclaim, as I did, "Giraffe!"